Top 5 Digital Marketing Predictions for the Rest of 2016! If you are a digital marketer or a blogger, keeping in the loop of latest trends is very essential. When you know what content marketing predictions have for you in the coming time, you can use it to gain more reach, and drive more traffic back to your blog. Almost full 2015 and 2016 till date was an inception for many new trends like video marketing and 10X content. Rest of the 2016 is what will see the full-blown versions of them. 10X content is the new concept by Rand Fishkin (the wizard of Moz) that will help you thrive in the blogosphere. With tons of content surfacing each year, it’s hard to rank an average piece of article and that is why most blogs die even before scaling. With 10X content, you create content that is epic, provides value and is in-depth solution of the topic you are writing about. A common example of 10X content is the couple of articles on your site that drives the major traffic to your blog. Suppose you have 100 articles on your blog, but to be honest the major chunk of traffic comes from may be 10 or 20 articles. These articles can be called your blog’s 10X content. How to write 10X content? To write 10X content you have to research your posts, provide in-depth solution and make sure the content is interactive. You have to make sure the bounce rates for these articles are minimal. This can be done by adding media like images, videos, internal links etc. Mobile is now the key to get in front of your audience. If you are a marketer, and want to dominate in 2016, you have to think mobile-first. Here are some of the ways you can be innovative with mobile trends. a) Go live: Mobile apps like periscope, blab etc have gained much popularity in 2015 and this is going to reach newer levels in 2016. According to a report, only periscope users over 40 years of collective live video everyday. This isn’t something you want to ignore as a smart marketer. b) Mobile social networks: Similarly, mobile apps like Instagram are a great way to drive traffic back to your site and then funnel them as leads. Instagram and Pinterest have made it easier for marketers to sell by introducing buy buttons. This will enable users to buy products right off the platform without having to leave the site. c) Facebook: The king of all social media referral traffic is still very innovative when it comes to tapping the mobile users. The introduction of mobile broadcasting apps like Facebook live and mention, it has given marketers a great chance to build a community of fans using mobile. See here for a guide on usage of Facebook live. Facebook’s instant articles is also a great feature to get more referral traffic. It is for large publishers now, though. Internet of things is a concept of how many devices have been connected to your internet and aid to the betterment of the consumer service. With decreased cost of internet connectivity and increased awareness of the use of internet, people are now connecting more and more devices and synchronizing. According to a report, connected devices or wearable tech will get a 28% adoption rate by the end of 2016. The best examples of IoT are wearable tech, smart phones, connected car dashboards etc. Now this is a huge market if you want to dominate in 2016. If you want to stay in the game, make sure to innovate newer methods of staying in the loop. You can now target users specifically because most of their browsing habits and the stats of their wearable or connected devices will be synced. This is a great chance to sell your products to the right audience. Suppose, a person X searched for blood pressure online and his wearable tech gadget records a blood pressure of 150/90, you have a great guy who can be targeted for high blood pressure curing products. Bloggers can be innovative to get into the bandwagon too. Podcasts are a great way to get your content to the car music system of headphones of your audience. With the advent of mobilegeddon, Search Engines have started giving more preference to mobile optimized sites. In fact, most influential marketers using mobile platforms to promote their content, it is clear that 2016 will be the year of mobile. 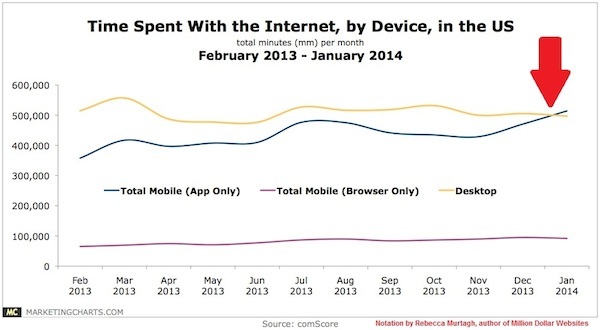 If you are a marketer, you have to think past desktop because mobile usage has now overcome PC usage. In order to get advantage of this, you can get a responsive site theme at the first place. In addition, you have to make sure you format your content into small chunks (or paragraphs) in order to make it interesting for mobile users. If you write large articles, divide it into a series of post or at least make the content paginated. This will not scare away the mobile reader with content overload. App indexing is the new digital marketing trends that are going to stay for long. In fact, many predict that app market will very soon take over mobile responsive websites. Google already started indexing mobile apps and in 2015, about 40% of the searches from android phones resulted in apps in the SERPs. This is going to go higher in 2016. Facebook recently gave Google the access to crawl its pages (only those are public). This will help you optimize your Facebook pages for keywords you want to rank for. This is huge for marketers who would now optimize their social profiles with their offers, lead funneling copy and target clicks from search results. These marketing trends are something that is going to shape the way you market your content or business online. Having a better content strategy will help you outrank your competitors and gain more readers. With a mobile responsive site, and advanced app targeting will also help you stay ahead in the coming year. Some more trends that will have a say in this year are videos. Facebook videos are recording huge views and are something you should not miss trying. Which digital marketing trends are you picking up to stay in the loop? Discuss them in the comments below.